Members from Community Clubs Hackney, Tower Hamlets and Islington as well as participants from local community groups, sports clubs and new individuals will head down to Britannia Leisure Centre for a well awaited day of sports and activities. 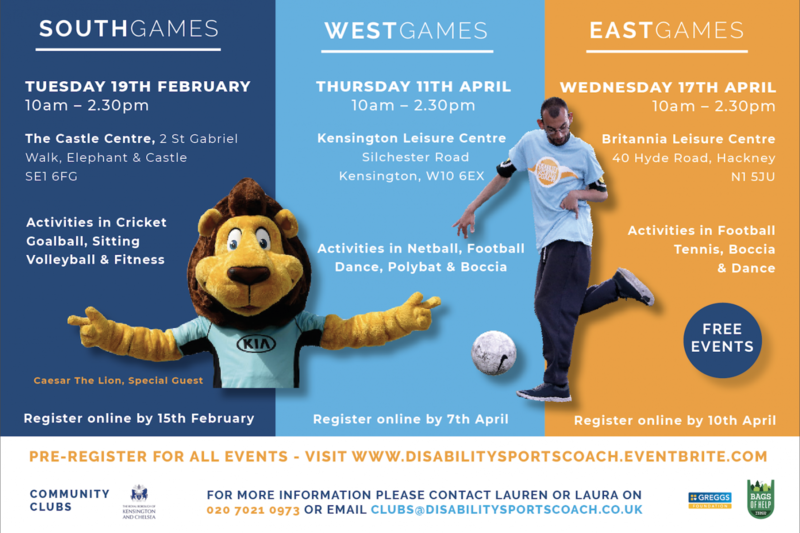 Like our other ClubGames, members will take part in a variety of different sports in the morning including Football delivered by West Ham United Foundation, Basketball by our friends SafeHaven Basketball and of course Dance delivered by ParaDance UK. We will also be showing you our favourite Boccia & Tennis skills and drills. Following all the excitement of the morning activities, West Ham will be here after lunch (not provided) for members to take part in a friendly competition in Football. Victim Support, Real DPO, Arsenal in the Community, Hillingdon Autistic Care & Support (HACS) and Choice in Hackney will also be joining us hosting stalls for you to find out more information about what’s going on in your area. 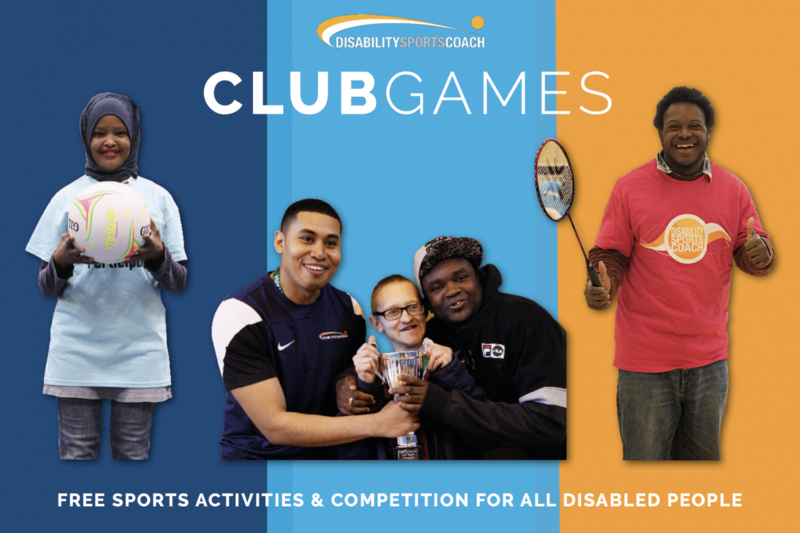 All the DSC ClubGames are free events, giving all disabled people the opportunity to take part in a variety of sports and some friendly competition. To register – just turn up! If you would like to attend as a group or for more information, please contact Lauren Mawdsley on LaurenM@disabilitysportscoach.co.uk or call 020 7021 0973 in advance. East ClubGames returns with a bang! West ClubGames makes social impact!